With tax season come tax scams. Lets face it. Scam artists are after your tax refunds and they are trying to get to your money before you do. Here are the top tax scams we have heard of over the last couple years. Phone scams – Criminals are targeting specific groups of people, for example, retirees. The criminals call with threats of police arrests or license revocation in order to strong-arm many elderly people into “paying their taxes.” The IRS does not call about taxes owed without first sending you a bill in the mail. Be wary of phone calls demanding payment for taxes. Phishing – Fake emails can be sent and phony websites can be established to make it seem legitimate. But the intent is to steal your information. That can lead to identity theft and stealing your tax refund. Return Preparer Fraud – Each tax season criminals set up shop as tax preparers with the intention of stealing your information and getting to your refund money before you do. If dozens of people go these dishonest tax prepares, hundreds of thousands of dollars can be collected before any of the victims realize their refund was taken. These criminals can also entice people by promising an inflated tax refund, but then they ask you to sign a blank return or they may charge a fee based on the percentage of a refund. Tip: Always ask to see the IRS’s Preparer Tax Identification Number (PTIN). Offshore Tax Avoidance – Hiding assets offshore can lead to significant tax penalties and even criminal prosecution. Fake Charities – There are groups of criminals who like to masquerade as charities in order to get donations from unsuspecting tax payers. Hiding Income with Fake Documents – Avoid tax prepares who even suggest falsifying documents to reduce tax bills or to inflate a refund. We want to make everyone aware of these scams. We hope they don’t happen to you. Feel free to share these with friends and family. You could help someone. Last year we lost a lot of big names. In this newsletter we plan to address two of those big names and the vast difference between their estate plans. 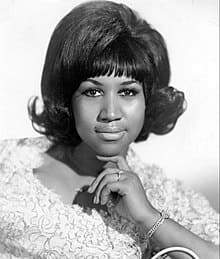 First Aretha Franklin, who everyone knows as the Queen of Soul. She had a catalog of hits many loved and remember fondly. Ms. Franklin lived in Detroit and passed away in her home. Unlike California, the state of Michigan has a very different Probate process. Ms. Franklin was a huge star but passed away with no estate planning documents. She leaves behind a partner, whom she never married, and 4 sons. Her sons have filed documents in a Michigan probate court and listed themselves as interested parties in her estate. This also means her finances will be made public should others come forward with claims against her estate -whether it be creditors who want to be paid or extend family who come forward hoping to get a portion of her wealth. Probate court has several requirements. First, someone will need to be appointed the personal representative. It could be one of her sons or maybe an attorney. Once a personal representative has been chosen by the court they will need to pay her finals bills. They will be tasked with coming up with with a list of all her assets and in the end, they will be responsible for distributing these assets, most likely to her sons in this case. Probate court in California can take years to settle. Michigan may be significantly faster. But with an estate as large as Ms. Franklin’s it may not be so quick. They will need to account for her music catalog and the royalties she receives. There may be battles with family members who believe they are entitled to a piece of her wealth. It is unfortunate she did not have any estate planning documents in place. Even though her attorney has told the press he was on her for “a number of years” to prepare a Trust. We encourage all our clients to get the proper estate planning documents, do not hesitate. It could save your family a lot of money and time after your demise. And while they are grieving is not a good time to deal with these problems. Our second big name star was Anthony Bourdain. 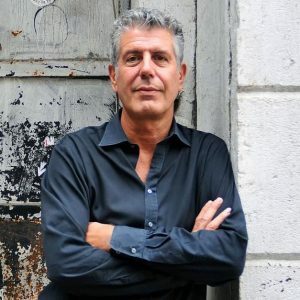 Anthony Bourdain was known as a hot-head chef who began his TV career by taking viewers on a tour around the world to “Parts Unknown.” He would do a Layover in cities and countries far and wide – he traveled to India, Singapore, France and even Japan. His many shows aired on CNN for several seasons. He was greatly admired by many. Unfortunately, Bourdain took his own life while filming one of his shows overseas. Bourdain’s primary residence was in New York, and he actually had all his estate planning documents in order. Bourdain had a trust that left his ex-wife in charge and made his only daughter, who was 11 at the time, the sole beneficiary. She stands to inherit several million dollars and some real estate. The entire process will be kept private, as it should with Trusts. His daughter will receive money for her healthy, education, welfare, and support. The daughter’s mother will be in charge of handing out the money. The trust will also determine at what age the daughter will get it outright. There could be educational incentives, where if the child completes a 4-year college and receives a degree she can receive more sooner. He may have provisions in there that provide for the child to travel. Luckily for Bourdain all these terms/provisions are kept private and his young daughter will be able to grow up and not worry. Need help with your estate plan? Have questions about the documents you have in place? Give our office a call. The new year is good time to review your estate plan. 818.887.9401. As a CPA, I have learned more about people and their personal finances than might be healthy. Over the years I have put together an informal list of what I call “Good Financial Habits” that I would like to share with you. Save your tax refund and any work bonuses. 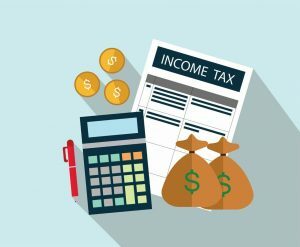 Although it is tempting to spend your tax refund or a bonus, you should save it in a high-yield savings account so it can accumulate interest and grow. Cut back on your home expenses. There are several ways to cut home spending; a less expensive cable tv package or mobile phone plan, reduce your grocery bill, monitor heating and a/c costs by using blankets or fans instead, bring lunch instead of buying it. If you aren’t sure where to make cuts, create a list of your discretionary spending, including meals out, gourmet coffee, new clothes etc. Small changes can add up to big savings. It is helpful to have a number in mind that can be broken down into smaller, more manageable increments. You may want to save enough to cover six months of expenses or you may be saving to buy a new car. Either way, having a number in mind makes it more attainable. You can also sign up to receive emails from your bank with account balances. Which will help you keep track of your spending and saving. Turn saving into a game. Put extra cash or change into a jar. Instead of letting change accumulate in your purse or your pockets, put it into a jar. It may seem insignificant at first, but you will be surprised by how much you can save. You can call it a “rainy day” fund. It may take some time to get into the habit, but setting reminders for yourself to save money can go a long way. Once you make it a habit it will pay off for years to come. The holidays mean holiday parties with increased alcohol consumption and seemingly endless opportunities to eat too much. Holidays are suppose to be fun times of family togetherness, so here are some ways to control the calories in the midst of all the feasting. If you are hosting a holiday party and are watching your weight, make sure to prepare a few healthy dishes for yourself and for your health-conscious guests. Dishes with lots of fruits and raw or steamed veggies are a good idea.